Forget digital music files or streaming services: Vinyl is back. Well, it's re-emerging at least for fans of Universal Music's catalog of albums. UVinyl — Universal Music's vinyl branch — is developing a "crowd-funded vinyl service" that will release limited-edition records of old "deleted" albums if there's enough demand. "The Vinyl Project" will re-press deleted and rare records into vinyl, and release them with digital downloads and personalized art prints. This service is reportedly going to work with Kickstarter-style crowdfunding. Complete Music Update reports that among the records being considered for release already include The Jackson 5's "ABC," Elton John's "Goodbye Yellow Brick Road" and Sonic Youth's "Goo." Ah, vinyls: Their sweet, classic sound can grace our living rooms once again. But we wonder: Will we be doing this with CDs and cassette tapes decades from now? 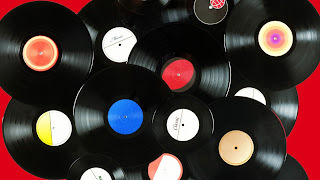 Let us know what you think about this vinyl initiative in the comments. Which records would you like to see revived?